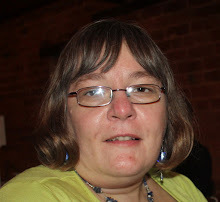 Well it's Team's Karen's turn for the Challenge this week for Digi Doodle Shop's Best Challenge Blog which is "April Showers". 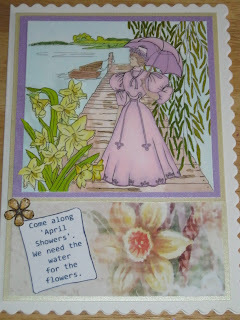 So I hope you like my card, the images I've used are Country Pond and 1800 Vintage Dress. I coloured my images in with Promarkers and I did two images of Country Pond. I added the Vintage Dress ontop of the image then I coloured and cut out the flowers again added 3d foam pads on it then decoupaged them on top. The backing paper is a paper from my new My Craft Studio cd rom, then added the saying and a gem to the card. Which is very true at the moment considering we are supposed to be having a drought in our County and all it's done is rain each day. 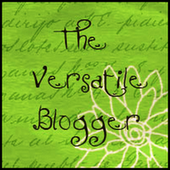 Please have a look at the other talented Design team members blogs.